Rusty has been with the Cheyenne for six years. He visits his white family to decide whether he should a Cheyenne or return to the white man�s world. Rusty tries to visit his white family, but finds he is on a wanted poster as a renegade. 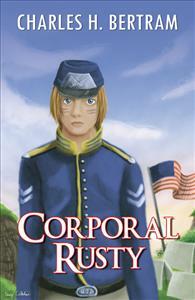 He faces being drafted into the Civil War, unless he can prove he is under age eighteen. To prove that means revealing his true name and renegade status. He does end up in the Union army, fights in the war, and when wounded, gets a discharge. He goes to Ireland and rescues his Indian sister Setting Sun. Once back with the Cheyenne he plans to marry Setting Sun after he makes a dangerous trip to the Blackfeet.